Diff lockers are great enhancements to four wheel drive vehicles. A diff locker locks each axle half from a diff together, thus forcing both wheels to rotate at the same speed. This means if one wheel has more traction it will receive more torque, rather than the torque being limited by the wheel with the least traction as is the case with a normal differential. Diff lockers mean you can get further offroad and do it slower and more safely than what’s possible with standard diffs. You can easily crawl up uneven terrain which reduces wear on both vehicle and track. But where’s the best spot to put a differential locker, if you’re only getting one? Diff lockers can be installed in the front diff, rear diff, or both. You get a large step change in offroad performance from having only one diff locker so installing only one is a common arrangement. Should you chuck it up front or in the rear? There’s a few things to consider, with overall traction being an important parameter. I’ve built a table to help explain how load and traction re-distributes on uneven terrain and how a placement of a diff locker affects the figures. The table applies to standard open differentials. I have assumed traction is proportional to load. This is accurate – the formula for friction is simply a friction coefficient multiplied by a force. In this case the force is the weight on the tyre. The total weight of the car is 100, and this is split across the four tyres. When the weight for a tyre is zero it means that tyre is completely unloaded and has no traction – it is in the air spinning freely. To calculate traction of an axle without a diff locker, the lowest traction wheel for that axle is multiplied by two. Remember an open diff cannot multiply torque – both wheels of an axle will get the same torque up to the point at which the wheel with the least traction starts skidding. To calculate traction of an axle with a diff locker, the traction at each wheel is added together. For a car going uphill, the weight distribution shifts to the rear. The same result occurs if the vehicle is carrying cargo in the rear. Uneven terrain causes a weight and therefore traction shift across an axle. The same effect is seen in traction if the axle is level but one tyre is on slippery material whilst the other is on a surface with good grip. From the table we see it is irrelevant where the diff locker is placed in terms of overall traction. Arguments such as “the front wheel is more likely to lift up hill so the diff locker should be up front” or “there is more weight in the back so it should be placed in the rear” are invalid. With the car uphill on uneven terrain we have 70% traction regardless of diff locker placement. The traction transfer occurs to the exact same extent at the front and rear regardless of which wheel lifts in the air and regardless of what the weight distribution is, so that the overall traction is perfectly matched in a front vs rear comparison. This is true for all weight distributions and inclinations. The extra traction delivered via a diff locker occurs due to a traction difference between each wheel. On uneven ground, traction differential is always equal between the front and rear axles. To unweighten a front wheel means the diagonally opposite rear wheel needs to be unweightened by the same amount. Why? Because between the four wheels, 100% of the car’s weight needs to be supported, and any weight differential between wheels on an axle needs to be offset by the same amount on the other axle to balance the weight of the vehicle. So despite the fact that a front wheel may be off the ground or the rear of the vehicle may be carrying more weight, the traction differential is always the same and a diff locker located in either the front or rear will always deliver the same improvement in traction. So if diff locker position has no effect on traction then we need to arbitrate using other criteria. A diff locker in either the front or rear of the vehicle will prevent the engine revs surging when both opposite corners of the vehicle completely lose traction. When this occurs, the impact load when the spinning wheels come back onto the ground is stressful for the drive train. A single diff locker in any location will prevent this situation so will protect both the front and rear end – there is no preference in position in this case. The rear of a vehicle is stronger, not having CV joints for steering and articulation. With a diff locker a large portion of an engine’s torque can be concentrated on a single wheel, thus the drivetrain to that wheel will be highly stressed and it’s preferable to do this at the rear of the vehicle where the design is inherently stronger. I have not personally had experience breaking CVs joints, but I have heard stories of diff locked front ends breaking CVs more often than those that aren’t, especially when also lifted. In fact so much torque can be generated with a front diff locker that I have heard of cases where the entire front diff assembly is twisted out of alignment. A front diff locker also makes it difficult to turn – the inside wheel of a locked front is turning too fast and tries to force the front wheels straight so you need to fight this effect with the steering wheel. Driving up a hill with a turn in it might require you to turn off the front locker to negotiate the turn. People with both front and rear lockers usually use the rear locker more often due the the front’s effect on turning. Apart from stress negotiating obstacles, a front locker also stresses the CVs greatly when turning. Turning over uneven ground with a front diff locker is a recipe for breaking CV joints. Because of difficulty turning and CV stress, many with front lockers use them only on straight sections of track. A rear diff locker can be switched on and left on, as it provides easy steering and offers less risk of overstressing drivetrain components when turning. You can leave it on during corners of a trail so you still retain all the advantages of a locked diff during corners. You can leave it on when proceeding over steep terrain and be confident of being able to steer to adjust your driving line without breaking a CV. The standard installation for some diff lockers when getting both front and rear is that the front cannot be turned on without the rear on. The diff locker manufacturer is making people use the rear first due to their perception of front end CV risk and impact to steering. More evidence to add weight to this argument is that when a vehicle is fitted with a factory diff locker by the original manufacturer, in my experience, it is always in the rear. This includes the new hilux, which has a factory rear locker. According to the arguments above, it is better to place the diff locker in the rear of a vehicle. 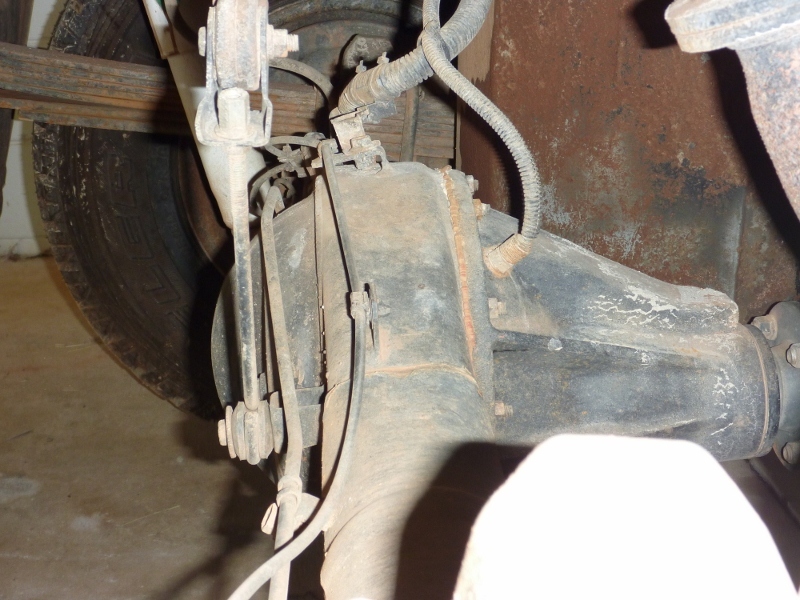 This may change if your vehicle already has a limited slip rear differential. In this case the rear diff is capable of multiplying torque so you will get greater overall traction if the diff locker is placed in the front, however you should still consider the factors for placing it in the rear before making a decision. In my experience limited slip diffs are pretty useless and I’d prefer to blow away the limited slip diff and put the locker in the rear. If you’re opting for an auto-locker, such as a Lokka, Lock Right or Detroit locker, then you need to consider the fact that these lockers can inadvertently lock on the bitumen when you don’t want them to, causing unpredictable handling. So placing the diff locker on the front axle will completely isolate it when you’re driving in 2WD on the bitumen, preventing any handling issues on road. So this is a factor to consider when determining where you want your auto-locker. For selectable diff lockers, such as air lockers and e-lockers, inadvertent locking is not an issue. Diff locker air line entry into the diff housing on the Hilux. My hilux had a limited slip rear differential but it didn’t do much. Actually it seemed like it did nothing at all so I had no worries losing the LSD completely. I also wanted to minimize risk of mechanical failure in remote areas and didn’t like the effect of cornering when using a front diff locker, so I went with the rear diff locker for my vehicle. What a difference! Front or rear, a diff locker makes it easy to climb up uneven terrain, safer to climb down steep decents and easy to clear hump-dee-doos on sand. A worthwhile investment for your 4WD. Some manufacturers offer factory diff locks. If you plan on doing some off road work then consider this option. My old sierra didn’t have great articulation and without diff lockers would often lift a wheel and get stuck on uneven terrain. A diff locker would make it a piece of cake to cruise away. I was hoping to buy my dads 2000 Tundra and now I’m decided that buying a 2000-2001 tundra is my next truck regardless if its my dad’s babied low KM tundra or just a used one front the classifieds. Since I believe that 90% of the time offroading is a choice I thought I’d buy a front locking diff. That way the truck has normal road manners and the front only become involved after I put the truck on 4×4. Otherwise, if I go rear lock I’m sorta stuck with it all the time. PS. Really hard to find for the tundra but it seems to be the same as the Tacoma for that generation. Thoughts? Hey Joe. Yeah if you have an auto diff locker that can unpredictably lock itself, then a benefit of having it in front is so that it doesn’t effect on road driving. Better still, get a diff locker that will not unpredictably lock itself. I should probably mention something about auto-lockers locking up when not desired. Thanks for the feedback. When I wrote the article I was mainly thinking about selectable lockers rather than auto-lockers. I don’t know anything about Tundra vs Tacoma. Don’t get them in Australia. Just the almighty Hilux! I have an FJ Cruiser with a rear diff locker. I have been pondering the merits of over riding the factory settings (I’ve seen a fix on an fj site) – presently, it can only be engaged in low 4wd and no faster than 8 kmh. It seems from your article there would be minimal downside to this? Hey Terry I’ve got a selectable air locker and have never used it in high range. The only time I can think it would be useful if you’re accelerating hard and getting wheelspin, but 4WD will get rid of that anyways. Or if you are racing and getting your wheels airborne over bumps and stuff. Most of us wont be unweightening our wheels at +40km/h because it’s hammering the crap out of the vehicle. I can’t think of any scenarios for the average joe where having the diff locked in high range would help. What’s your thoughts? i thought it might help as i seem to bottom out in soft sand at slower speeds? I’m looking at a lift kit and higher profile tyres as well. I thought the diff lock option might help as a cheap fix. Hmm maybe. I don’t reckon it will help much. If the weight of your vehicle is on the chassis then all your wheels lose traction and your car stops moving. Check your tyre pessures – maybe they are too hard and making you sink in too much. Anyways “soft sand at slower speeds” means you could be using low range. I recommend low range in soft sand. It will reduce stress on your drivetrain, make it easy to take off and give you a difflock at the same time. Some tough guys like to get through as much as they can in high range. “My car is so good with so much low down torque that I didn’t have to use low range.” Just chuck it in low range and get the job done easy. Late to the party, but thanks for this article. Been debating what to do with my MY15 Defender and now I think it’s a rear diff locker to start with at least. Hi i just got a 09 h3 with awd 4hi 4low and 2 extra buttons of rear lock and front lock. Im looking into doing some 4x4ing not mudding. My question is when to use front and when to use rear lockers on the path. Great points & fair comments- I was pretty much set on the front air locker until reading this article. I’m planning to take my 2003 3.0L Naturally slow Hilux across the Simpson Mid-2017 … So as you’d gather I’m looking for any advantage I can get. I think I will do away with the rear LSD & go air locker. Heading East to West Big Red will be by no means easy but look forward to the challenge. Yo Kevo yep diff locker will help heaps. I’ve never done big red but I have done some desert dune country and I’ve found with the diff locker on and suitably low tyre pressure I could basically idle up anything piece of cake. Hi! I have a lokka on my triton front diff, rear is LSD. As I understand, my front is always locked even on 2wd. When a wheel needs to ‘differentiate’, as in a turn, the outer front axle ‘slips’ enabling the outer wheel to turn faster than the inner wheel (hence, the clicking sound). Same thing when on 4wd. I’ve used the truck on and off road and it seems to validate these points. So when you said auto lockers can inadvertently lock when you don’t want them to, I am confused. If the carrier cross pin is forced simultaneously into both left and right driver saddles then the locker will lock up. This can happen if you accelerate hard around a corner. It can even happen with too much engine braking around a corner. Have another look at the video you link to, you’ll see what I mean when the presenter explains how it works. On your triton you don’t have constant 4WD and you have an auto locker on the front axle. This means inadvertent lockup isn’t really a problem for you. On road in 2WD the carrier cross pin will never spread the driver saddles because no torque is applied to the carrier. You generally only engage 4WD in a low traction environment and this is when you want the locker to lock. Inadvertent locking is a problem only for constant 4WD vehicles or for vehicles with rear auto lockers fitted. Thank you for the quick reply. Mine was just recently installed and I need to fully understand its operation. Like when there is engine braking around a corner, yes, the cross pin will be forced to both saddles, albeit at its opposite side. And I agree with you that inadvertent locking will not be an issue for me. Lokka offers part time conversion kits for constant 4wd, which tinkers with the center diff, not with the locker itself. But please bear with me on this one. Item b under para 3 in the link above or @ 3:15 of the video link earlier. 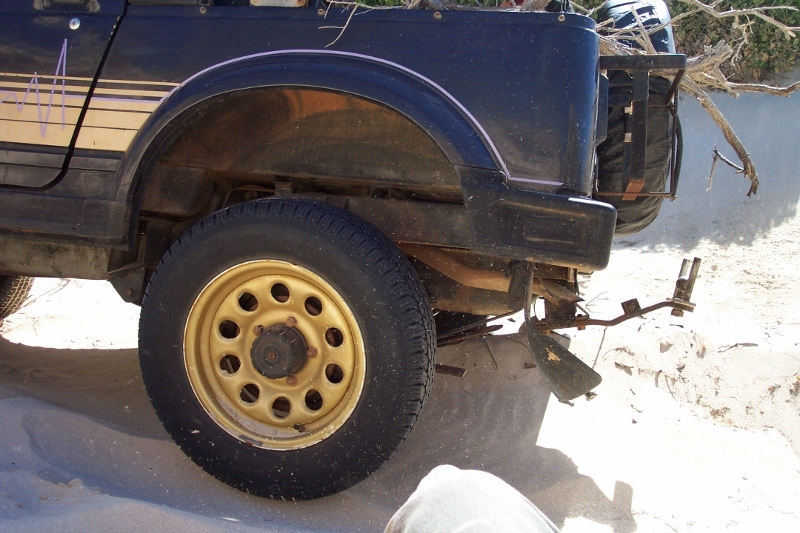 During 4wd operation, is it not that the axle gear (outer wheel side in a turn) will force the driver saddles (cam gears) towards the carrier cross pin allowing for the ramped teeth of the axle gears to slip and differentiate? My understanding that this operation is regardless of how much torque is being applied. The ‘inward ‘action of the driver saddles that allows wheels to differentiate only needs to overcome the spring tension, which is not much and can be easily handled by the ramped teeth of the faster turning axle gears. Hi Jet if the carrier cross pin is forced forward the driver saddles can’t retract inwards. The carrier cross pin is in the way. Nothing to do with springs. This is how the locker locks during normal operation and is also how it can inadvertently lock when accelerating hard out of a corner. Some people on forums have described it happening to them, it is not just a theoretical possibility, it actually happens. Accelerating gently out of a corner is ok because the faster running wheel advances the driver saddle clear of the carrier cross pin so that it can retract and disengage. Even when accelerating hard it usually works ok, but sometimes, due to a bump in the road or some squirm in the tyre and tread block movement or whatever, the cross pin will catch up with the saddle and you get a sudden random momentary locking of the locker. Hi again! Thank you for taking time to explain. I also thought that the saddles has this bit of ‘lash’ that allows it to clear the cross pin so that it can disengage. As I’ve said earlier, I haven’t had much time with the locker so I have yet to experience lots of things with it. Your detailed explanation now forewarns me of the possibilities, especially the ones I may not like. More power to you, outbackjoe! An update my stock rear diff broke so it made the decision for me. I went for a Truetrac LSD. The unpredictability is actually quite predictable…if you gas it while turning, the wheels lock. So outside of an agressive driver most people wouldn’t even notice the LSD. the Eaton Truetrac uses a worm gear to ring gear setup instead of a clutch. Very unique and low/no maintenance. Look it up they have animated videos explaining. Good luck and stay dirty. I was contemplating a front locker for my 2006 Prado to address exactly the scenario you described, where a front wheel is in the air and the impact load when the spinning wheel comes back onto the ground breaks a CV. I’m not quite sure I understand your description of how a rear diff lock provides protection in this case. With a front locker, the wheel in the air is spinning at the same speed as the other front wheel, presumably quite slow, so when it comes down the impact is reduced compared with an open diff, where the lifted wheel is spinning wildly. With a rear locker, are you saying that because there is always some degree of traction at the rear, the rear diff drive shaft speed must equal the front diff drive shaft speed and hence the speed at which the lifted front wheel can spin is limited to the wheel speed of the driving wheel at the rear? I think that also means that with a centre diff, with the centre diff unlocked (hi range for my prado), a rear diff lock doesn’t protect the front CV joints from impact damage when the front wheel lifts and crashes back down (Although I agree with your earlier discussion in the thread that there are not many circumstances where a diff lock should be engaged in high range). Yo Brad what you say is correct. In a vehicle without a centre diff, or with the centre diff locked, on uneven terrain one front wheel and the diagonally opposite rear wheel can simultaneously spin freely through the open front and rear diffs. There is almost no resistance to rotating so the wheels will accelerate quickly according to throttle input. Then when traction returns there is risk of severe impact load. Restraining at least one of the diagonally opposite spinning wheels will restrain the whole drive train. The wheel with traction will limit the engine speed and the front and rear drive shaft speeds will always match. If the wheel with traction starts skidding then you can still accelerate the wheels and cause impact loads. This can happen whether the diff locker is front or rear. With an open centre diff you are stuffed either way. On uneven surface either the front or rear shafts will completely stop, and if it’s the front end with a wheel in the air then the whole drive train will be unloaded and accelerate that wheel rapidly no matter what you do to the rear end. If you put the diff locker in the front end and have an open centre diff then yes you will prevent impact loads to the front. The front axle will simply stop and one wheel on the rear end will suffer. But in the hierarchy of engaging diff lockers, the centre diff should always be first. Locking a front or rear diff lock with an open centre doesn’t do much because it will not change the fact that the weakest link will spin freely, either one front wheel or one rear wheel, and every other wheel will receive no torque. This will always happen with an open centre no matter what you do with front and rear diff locks, unless you have both front and rear diff locks and engage them simultaneously. By locking the centre diff you transform from an all-wheel-drive soft off-roader to a normal 4WD arrangement. Even high speed driving on dirt roads can benefit from centre diff lock because it prevents bumps / corrugations from causing backlash between front and rear axles. If you fit a rear diff locker into the rear of a factory LSD then you will make the vehicle less capable when the diff locker is disengaged. There is no way around it. You lose the LSD. The question is how much less capable. In my hilux the answer was I couldn’t even tell the difference. Hi Kris one diff locker is bloody good compared to open diffs. But depends on how capable your vehicle is and what you’re towing and what tracks you do. I dunno whether you’d benefit from front locker. If you can do some smaller trips to see how you go then make an assessment. You might be ok without and you got winch for the few times you might have trouble. Extra fuel tank is great. But jerry cans good too especially if you have a nice way of latching them in and getting them out. No straight answer both ways work. If you’re keeping your vehicle for many years maybe go the tank. Make sure you don’t exceed the roof rating if you do go with jerry cans on roof. If you ever plan to go long distance desert tracks and stuff you might want both extra tank and jerry cans. Hi Adam I got no first hand experience with auto locker in the front so I’m guessing but I’d be concerned about it locking aggressively at large articulation / steering angles causing excessive shock loads and potential failures. At least with a switchable locker it is fully locked and torque will gradually rise as load increases rather than suddenly locking up. Plus you can switch it off for tight turns to give the front drivetrain some stress relief. Really I’m not sure how it will be in practice might be worth finding someone with a front auto locker to see what they reckon.